Isabel Maude Penrice Bilton, a military daughter with a flair for the dramatic, dazzled the London theatrical scene in the late 1800’s and won herself many an admirer. Nuala O’Connor’s account of her is a fictional yet fascinating story of her ascent from mere showgirl to a member of high society, with her fair share of trials and tribulations along the way. 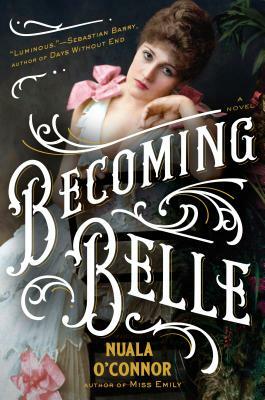 Belle’s story is a delightful romp through the bohemian society of the time; from her and her sister Flo’s use of historically accurate slang to the dining fashions of the time to the slanderous newspapers, you can tell that O’Connor put in the research to bring Belle’s world alive. I would particularly recommend this book to anybody interested in history or genealogy - I had a great time looking online at Miss Bilton’s old cabinet cards and seeing what became of her after the events of this book!